Call Us To Schedule Your Free Screening. Find our address, maps, and directions here. We serve the Lubbock TX area. Main primary location now in Lubbock, TX. 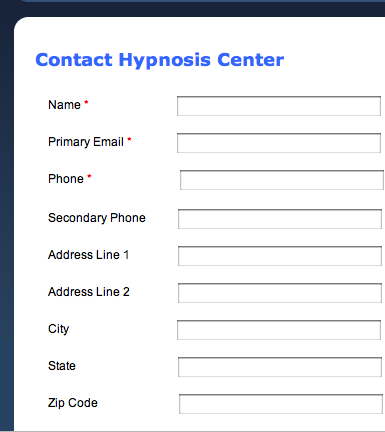 We're kind of old-fashioned here at the hypnosis center. When you call, we still use pencil and paper for the schedule. Even in this day of the internet and all the fancy electronic stuff online, we still believe that things work more to speak with you personally - So, it is best to call. 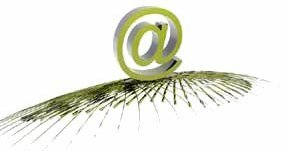 However, if for some reason that is not possible, you may also use this email contact form or the email link below. This form is powered by our other website, and it will open in a new window. Please click here (or on the image below) to be connected to our special Contact eForm on the parent / home website of Author, Chris Halbohm. So that we can be of the most service to you. please fill in as much information as you wish. Fields marked with an * are required. PRIVACY: Your personal information is safe with us. We'll never sell, rent, or trade it, because we hate spam as much as you do. PLEASE NOTE: If the top of this form states that "you are already subscribed", it does not necessarily mean that you have submitted the form - it may simply mean that you are in the database. Simply fill out the form to ensure your contact.. Realize that all details of our programs (fees, length of programs, etc.) are discussed at your free screening appointment. You will have everything determined and explained at the screening. You can find us for the NGH (National Guild Of Hypnotists) Convention on the pre-convention NGH Ning site, for posts, upcoming presentations, topic discussions, and room shares, etc. More listings and news stories can be found here at DallasNews, among many others. From time to time, we provide one-time live event seminars. We have done many different topics such as family dynamics, communication skills, building a medical practice, stress management, and of course Getting Your Goal (for weight loss or quit smoking, etc.). Here, one of our past events on PRLOG.org, one press release and some of the content is discussed. Here is just one of our social profiles on Eventbrite as well, as we sometimes post events for attendance with the purchase of pre-ordered tickets. Our hypnosis schools have been opened across the country as some of the first of their kind in the world today. One in specific, in Texas. Both MyGoalNow.com and ThriveTruth.com are central places where you can get connected to us for speaking, stage events, professional training, and work with non-profits, service clubs, and support groups. We also offer services to churches as well as charitable fundraising training, found primarily at ThriveTruth.com. KingstonHypnosis.com office is in PA. Often available for in-person, live sessions, the office location is at 44 Pierce St, Kingston, PA 18704. At KeystoneHypnosisCenter.com, we are available for in-person, live sessions in Lubbock TX, Amarillo, Odessa & Midland Texas, and Dallas / Fort Worth, as well as by phone, Sky, or Zoom.